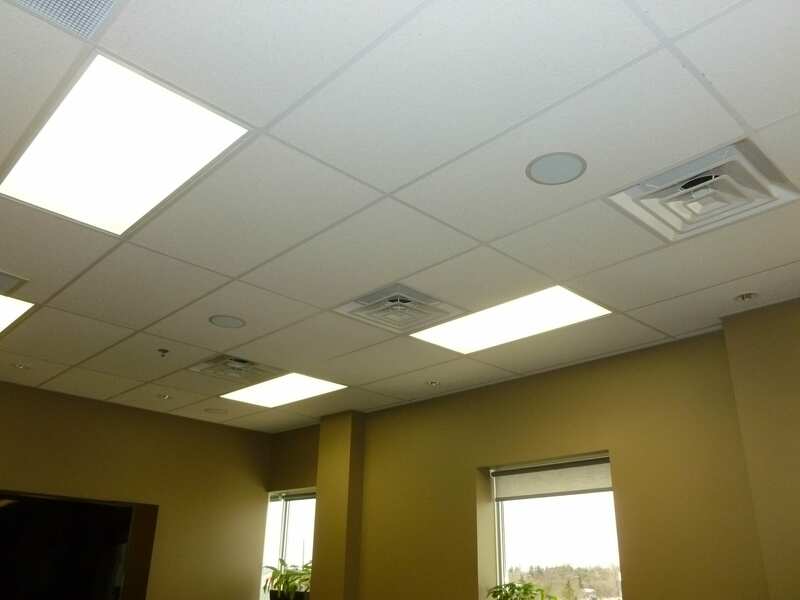 This installation was for a customer that required background audio in 2 areas in an office space plus 6 individual offices . 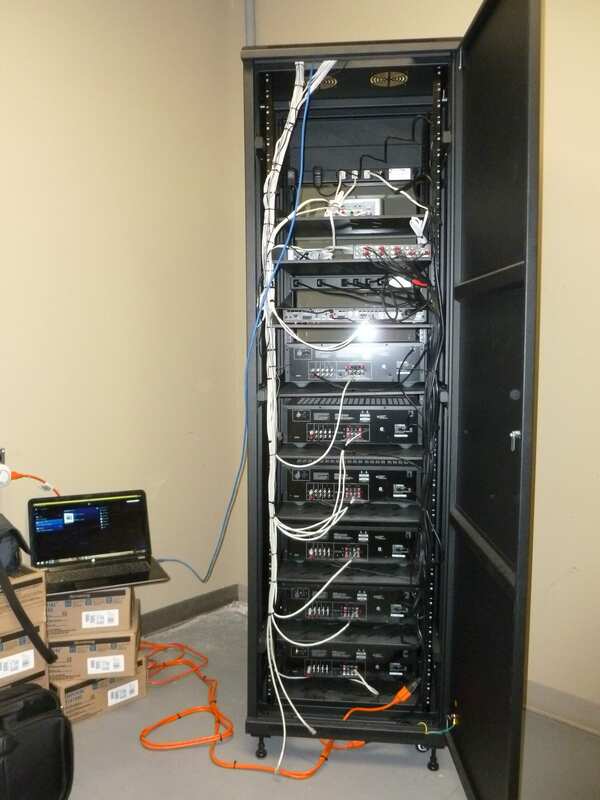 We installed a total of 30 70 volt 6.5″ speakers in the two zones all powered by a 2-channel 70 volt amplifier . 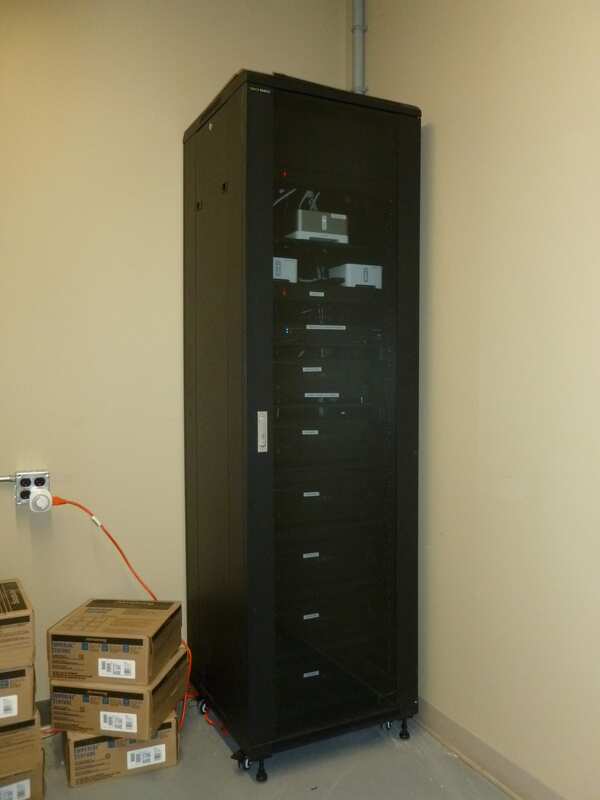 The offices are all powered with individual receivers which can select between am/fm tuners and digital music server system. 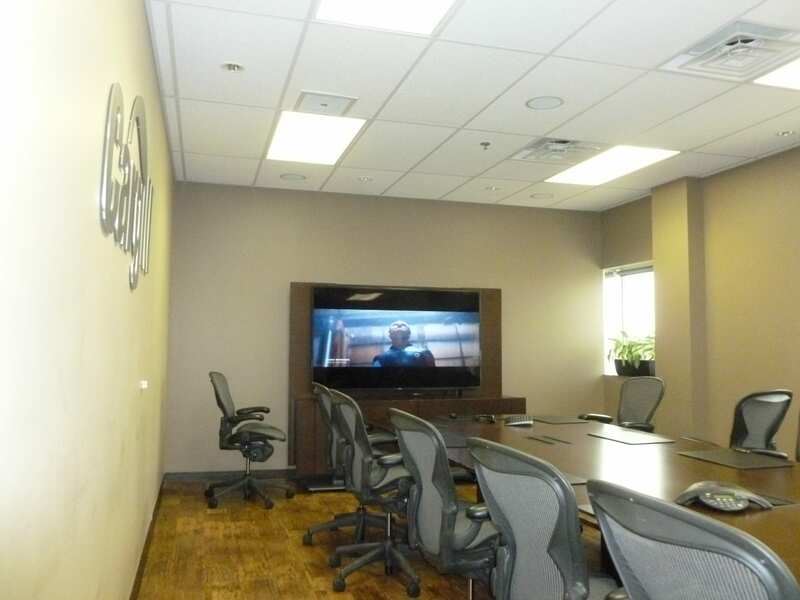 We also supplied and installed an additional 2 sets of speakers for the Boardroom background audio system and Presentation system. 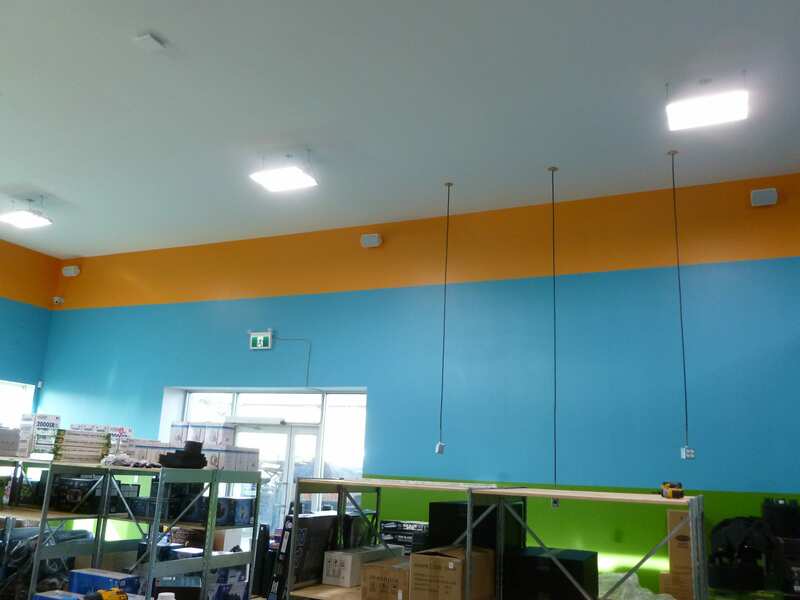 Our customer was setting up a new retail store which allowed us to pre-wire as well as provide and install the systems. 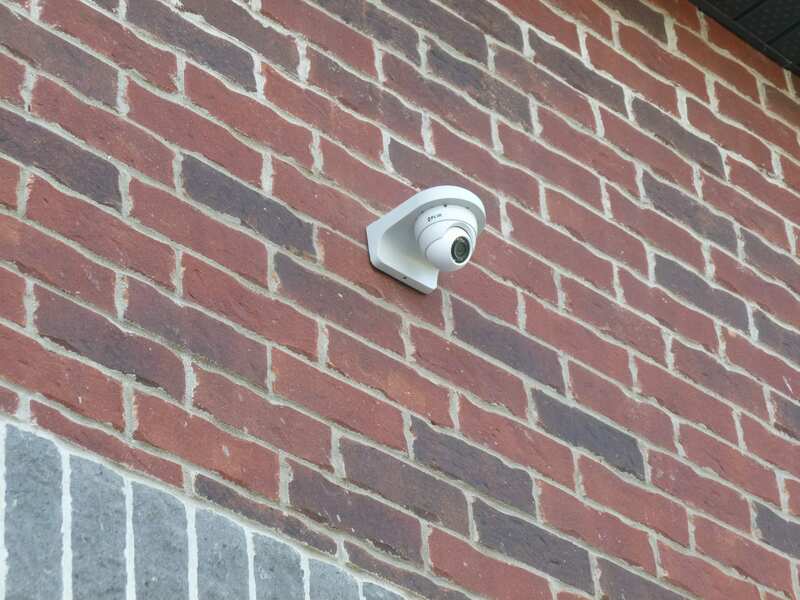 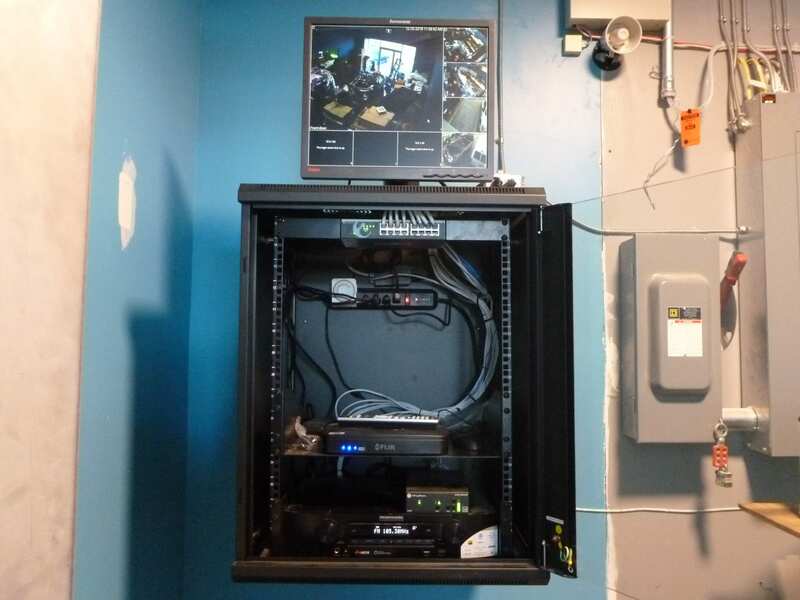 We installed a 5 channel security camera system with NVR, 8 wall mounted 70 volt speakers and all of the wired and wireless network. 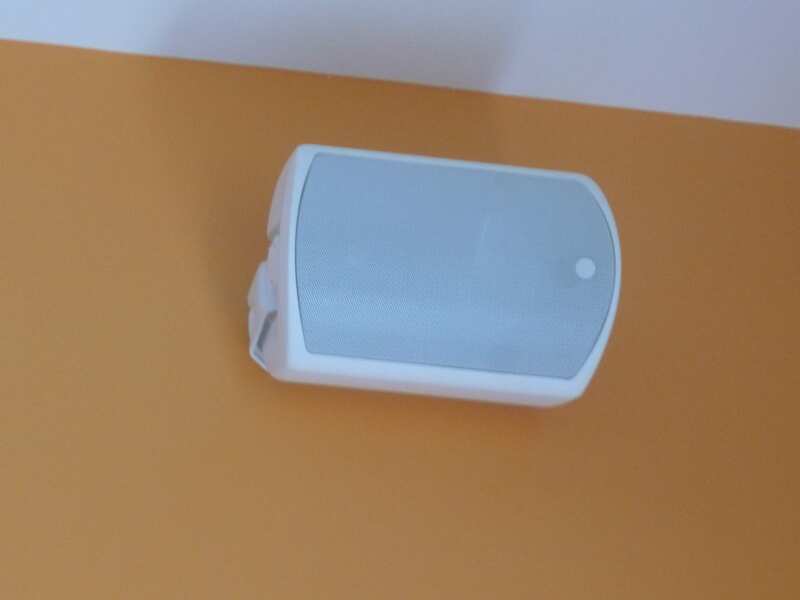 The high speed access point gives the customer access to the networked receiver to operate inputs, volume etc. 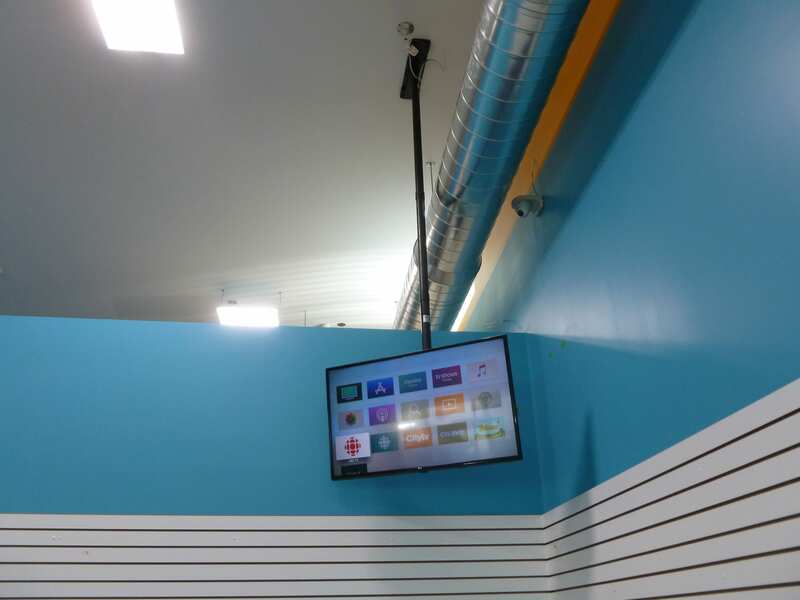 The 49″LCD display is also connected to the audio system and this allows the customer to play YouTube demonstration videos for their clients. 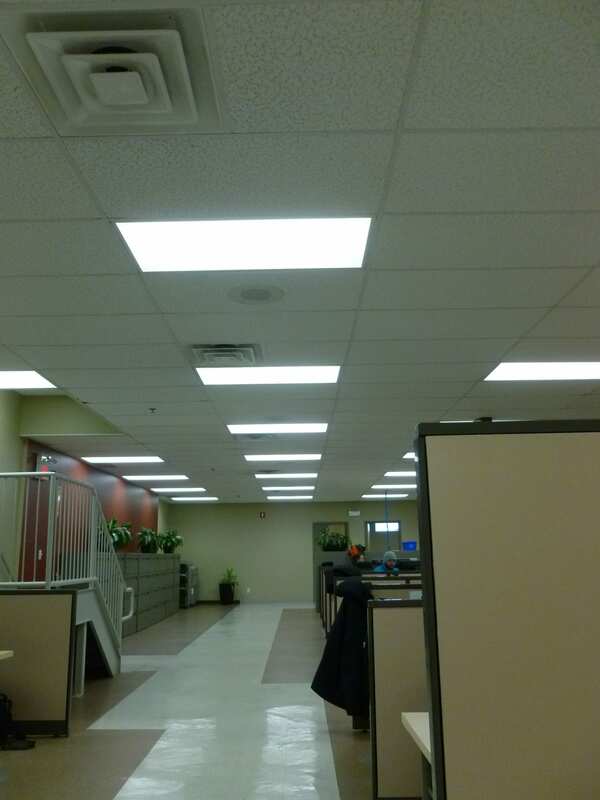 This was a retrofit for a customer in Cambridge. 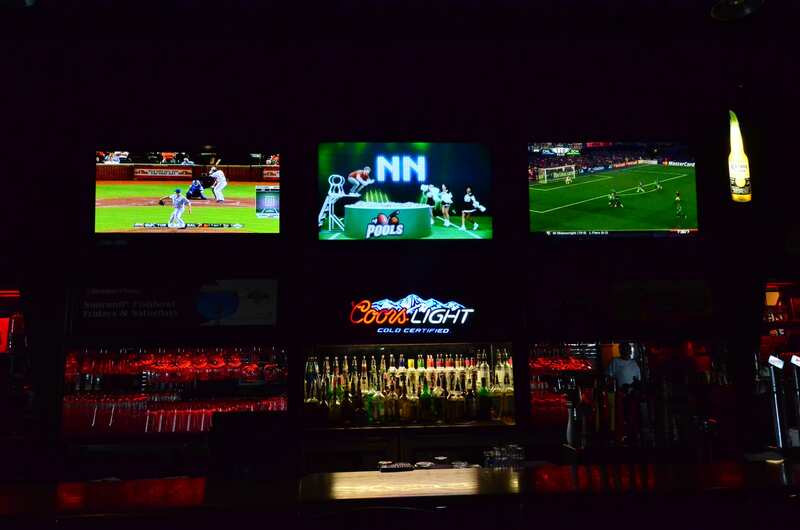 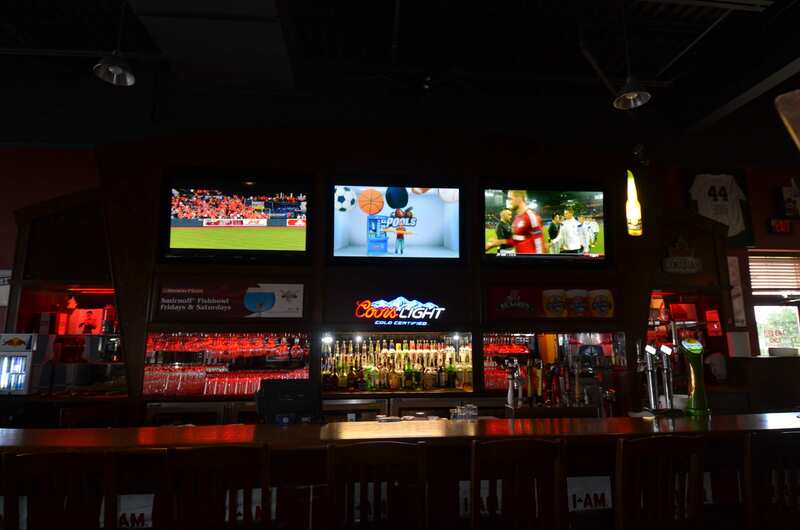 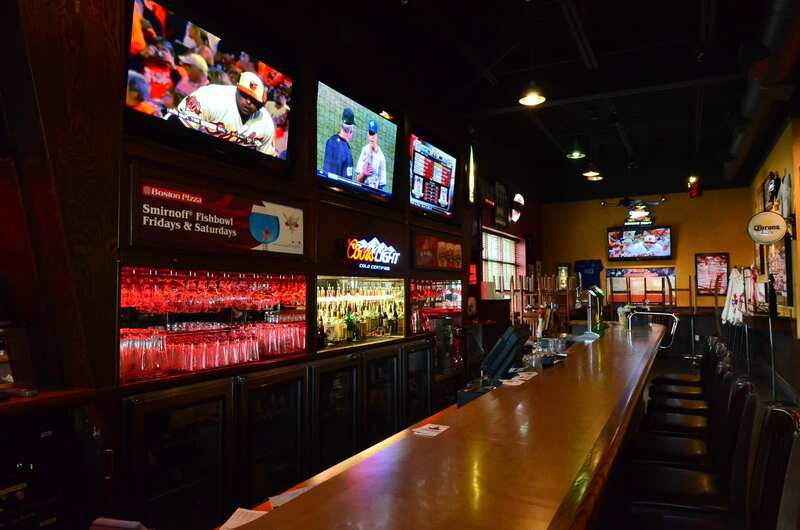 We upgraded them to a 1080P video distribution system for the 28 flat screen TV’s mounted in the Bar and indoor/outdoor restaurant areas. 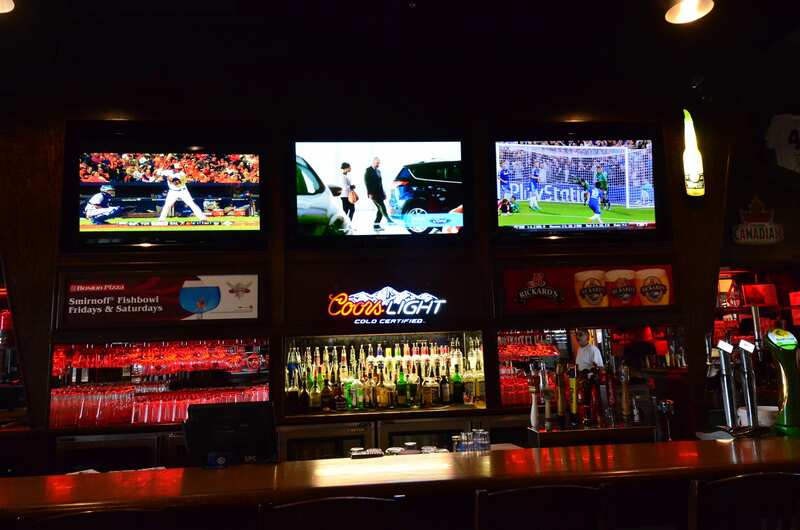 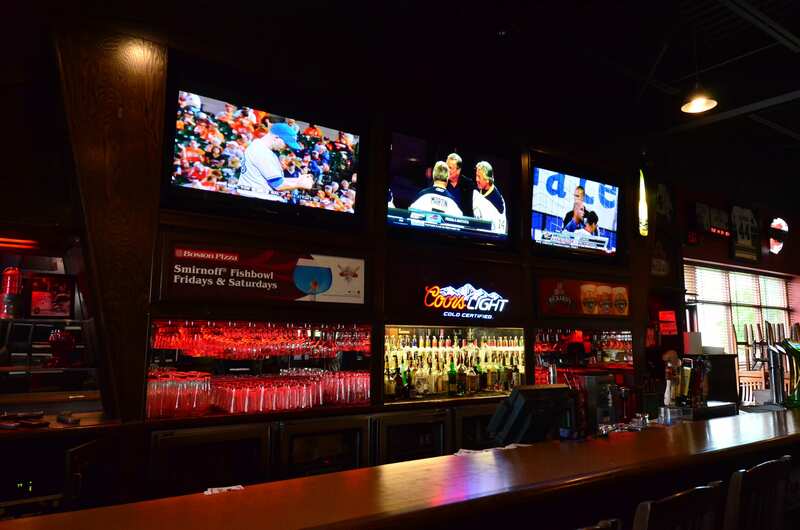 By using separate modulators, each TV can access 4 separate satellite receivers The audio from the satellite receivers are also mixed into the audio system and the different audio sources can be played in separate zones of the restaurant.